I am certain that there are now too many breweries in the UK. There are some successes and those that have managed to get everything right will continue to flourish and grow. However, I firmly believe that the vast majority of breweries below the 5,000hl mark will find it difficult to find true sustainable success, that is unless there are some significant changes to the culture within the industry. My recent experiences searching for a solution to our own position I feel is proof of certainty of this. Let me explain this in a little more detail. Below 5,000hl annual production profitability is extremely slim3. It's a sliding scale and closer one gets to this important number the more likely a brewery is to make profit, but that profit is still likely to only really satisfy an owners short-term living requirements. Below 2,000hl my research strongly points towards a loss making operation. What this means from a business valuation point of view is that within the range of brewery sizes we are talking about any exit strategy for the business owner looks poor. Making return on investment is highly unlikely without some sort of growth. Consolidation is in my view the obvious answer to this. Critics of progressive beer duty as it stands points to a "cliff edge" at 5,000hl which it is claimed creates a negative incentive for mergers and acquisitions. I dispute that for various reasons. In actual fact the real barrier to such "normal" business activity seems to be in the very psyche of the owners of microbreweries. "This is my baby, we think we'll make this work all by ourselves" is a paraphrased and slightly exaggerated message I've heard now from the majority of people we've talked to. Meanwhile there are also talents and passion being lost from the industry as people like me become disillusioned with the hopelessness brought about by the massive over-supply of beer and undervaluation of hardworking micro-brewers. There are around 2,000 breweries in the country, the vast majority, around 1,400 of them, are below 5,000hl. Their total volume of production is currently around 1.3 million HL per year. If every single one of them were to produce 5,000hl per year we'd see them have to increase their total share of the market from around 3% to a whopping 16%. This stark and fairly scary thought omits to include that fact that if all 2,000 breweries wish to grow, as indeed we assume they do, then massive share of the market must be taken from both multinationals and regional brewers alike. This simply cannot happen as despite attempts to the contrary, and bluff from some quarters, the shape of the beer market hasn't really changed as much as we'd like to think it has. 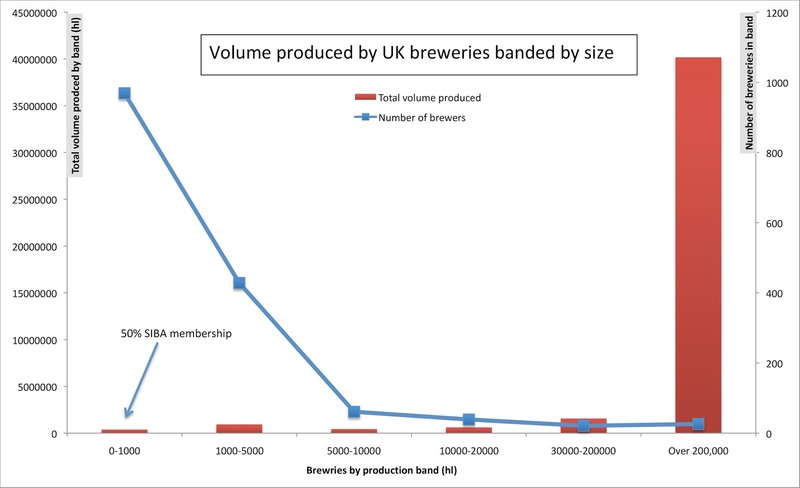 In actual fact pointing a finger at those under 5,000hl is a bit unfair and it seems to me that no one in the brewing industry is really terribly interested in mergers and acquisitions until we get to the very biggest. Massive publicly listed breweries are snapping up some of the more successful brands, but unless I'm missing something very little is happening other than that. My prediction is that most breweries will struggle to grow and therefore leave the owners without a plausible exit strategy. If you couple this with the realisation that no one is going to be laughing all the way to the bank, why then does anyone still plug away with the dream when the probability of burnt fingers is so high? It all leaves me somewhat confused. 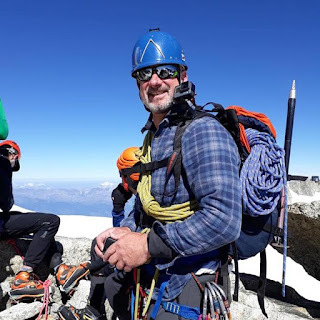 I spent 3 weeks in the French Alps this summer, something I would have failed to be able to do if I was trying to put in the effort I'd need to to make our business work. 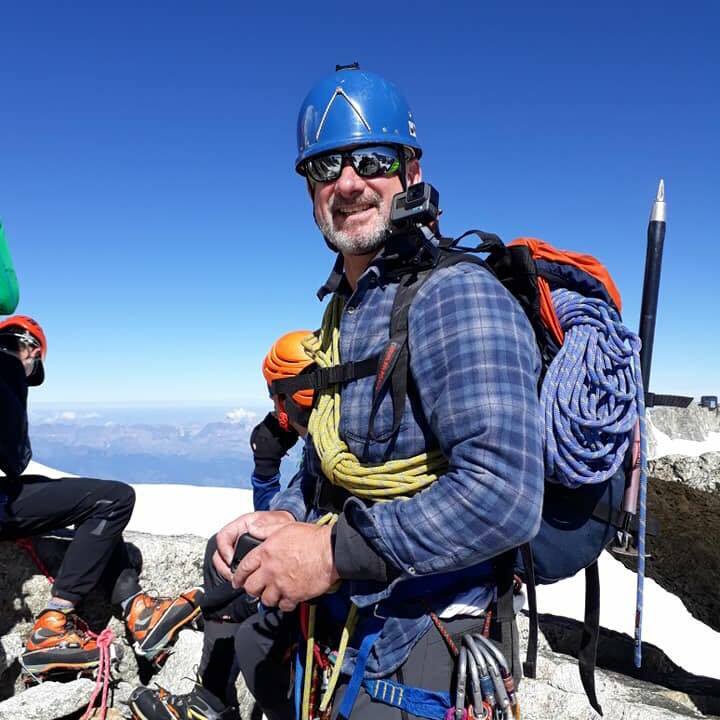 I achieved a life-long goal of reaching the summit of Mont Blanc, a story I shall get around to telling on here I expect4. I have other life goals, and I'm working very hard on one right now which hopefully will realise itself in the next 6 months. However, to be able to fund these things I need to find a job that has nothing to do with beer. There simply isn't the money in this daft job to even survive, let alone make a decent living, unless I went to work for the enemy and I can't see me coping with that. So, my CV has been dusted off and is being sent out, back to engineering for me I hope. 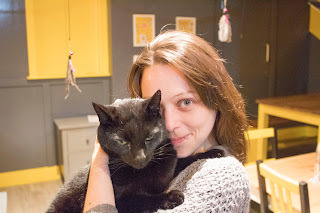 This blog will remain, but is likely to wander completely off the subject of beer and pubs. I've been here long enough, seen the same old arguments come back around again and again and although things have changed, and I hope I've helped change things for the better, there is still an incredibly depressing inertia to new and radical things. 1Yes, that's right, we have given up completely. We're breaking down the brewery and selling everything we have. Look out for listings on the SIBA website and my eBay account. The best things we have are 6 x 2000 litre gross conical closed tanks which apparently costs close to £7000+VAT to buy new. We also have a 661 bottling line which hasn't been worked hard. We have various other bits of tanks and stuff, although with stainless steel being £900 a tonne to weigh in at my local scrappie some of it will be going that route. 2With due apologies to the businesses that we have actually started dialogue with and it has been us that have decided to walk away. There are numerous reasons why deals can sometimes fail of course. Sometimes it's timing, and where we chase one possible lead at the expense of another only to find the fist is a blind alley it can get very frustrating for everyone involved. The point is that without enough businesses thinking truly about sustainability and personal long-term gain it becomes impossible to find suitable partnerships and I believe for the micro-brewing industry to prosper and fight much bigger foes a concerted effort to work together must be found. 3Of course there is always the brewery business that manages to also own pubs. 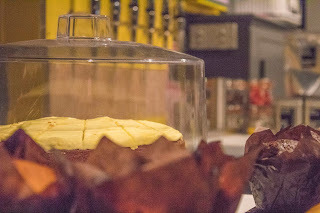 Be it a brewpub style operation, a brewery with a tap room or a brewery that owns an estate of pubs, they all have powerful advantages over the stand alone brewery. My current advice is don't own a brewery unless you want to also own a route to market. Why don't I do that? Put simply, been there and done that. The licensed retail is tough too. 4Indeed it was epic. After 14 years of being my own boss I've learnt a lot and I don't regret it for one minute, but many things have suffered and my passion for mountaineering has been left unsatisfied until now. Why climb? Because the emotions of reaching the top are incredibly powerful, especially when doing so without buckling to the increasing pressure to hire a guide. "Dave, why am I crying?" asked Fran, which of course was a rhetorical question; when you've planned and dreamed and trained for such a thing for so long the happiness of achievement is incredibly emotional. 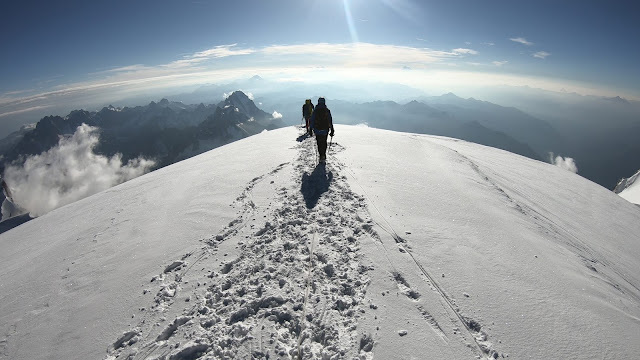 I spoke to my GoPro, for the sake of the record "The summit of Mont Blanc" as I panned around to show that everything else within visible distance was indeed lower than us. There have been times I have questioned if I'd ever be there, and so I myself found it impossible to fight back the tears of happiness. 5"If our business spends £1 million on a pub the following day we will still have a pub worth £1 million pounds, and that asset is likely to appreciate" a well respected brewery director expains to me "If I convince the board to spend £1 million on brewery kit the day after installation it is simply has scrap value"
Actually, I'd say that there is a risk of brewery installations becoming liabilities as the costs of removal can sometimes be greater than value of any of the installed components. Although this is a smaller risk with microbreweries as second hand brewery equipment can easily be removed and normally has a better realisation of value on selling I know we have some significant costs to deal with to be able to hand back our building to the landlord. Getting micro-brewed beer onto keg taps in outlets is no easy task. It occurs to me that in actual fact this is a far greater barrier to growth of small independent craft breweries than PubCos or any other form of hard tie. "There's been an interesting bloke on the phone" Ann informed me as I returned to the office "He's just bought a hotel and wants our beer"
At that point it seemed a reasonably ordinary enquiry and I assumed it was part of the usual irritating background noise that distracts me from my own job. "They want Space Hopper in keg" Ann persisted in breaking down the barrier to her information flow "the guy tried it in that place we sent a keg to the other week and really likes it. Likes the beer and likes the branding"
"Oh?" I replied "not cask, that's nice, but..... equipment?" she was starting to get through, a sale of keg to a new account was something that interested me. "He doesn't think he'd be able to serve cask beer as they have no cellar" ah, so that's going to see me heading off to sort something out in this place. 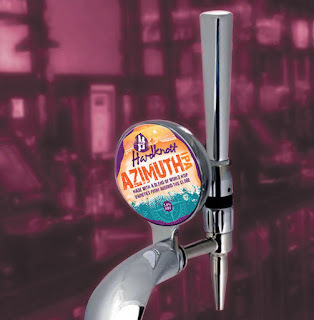 "You need2 to go and look and see if they have the right things to serve our keg"
This was following on from a recent bad experience where we had installed a keg font in a pub and a few months later, when the manager changed, they then decided not to buy our beer anymore. I rushed to the pub immediately I discovered this to remove our equipment only to find a Marstons sales rep there trying to argue that my equipment in fact belonged to them. So, I felt a little bruised and reluctant to spend the best part of £500 on another project of unknown outcome. Never-the-less I pitched up at this rather remote location on the shores of Haweswater in the Eastern Lakes. That was over two years ago. I installed the tap I had removed from the previous pub and we've been merrily selling the place beer ever since and in enough quality to justify the effort and expense. It turns out that the new owner of the hotel is delightfully alternative in his outlook towards business. They contacted me a couple of months ago as they were negotiating with suppliers of their major brand lager. It seems that they were being offered a cash lump sum for a two year exclusivity deal. 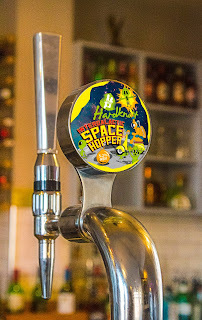 They were being offered £2k cash to kick our Intergalactic Space Hopper off the bar. Apparently it isn't just one major beer producer that is doing this, it is most of the big multinational brands and is looking a little bit like a cartel and anti-competative action. Now, Stephen the owner is no ordinary hotelier. He seems to have no intention of removing our beer, even with an incentive so great. John, who is dealing with most of nitty gritty, was simply contacting me to see if we could do anything to go someway to match the offer from the big boys. We considered for a while, contemplated taking over with our own exclusivity deal involving sourcing more artisanal lagers etc, but then our decision to stop brewing at Millom rather took over the situation. Indeed, the realisation that big multinational beer brands are actively tying up many routes to market in ways that we simply cannot commercially compete against was partly a catalyst to us deciding that we had to be drastic with our business progression. £2k is roughly the annual value of this particular account. We cannot compete in this territory. 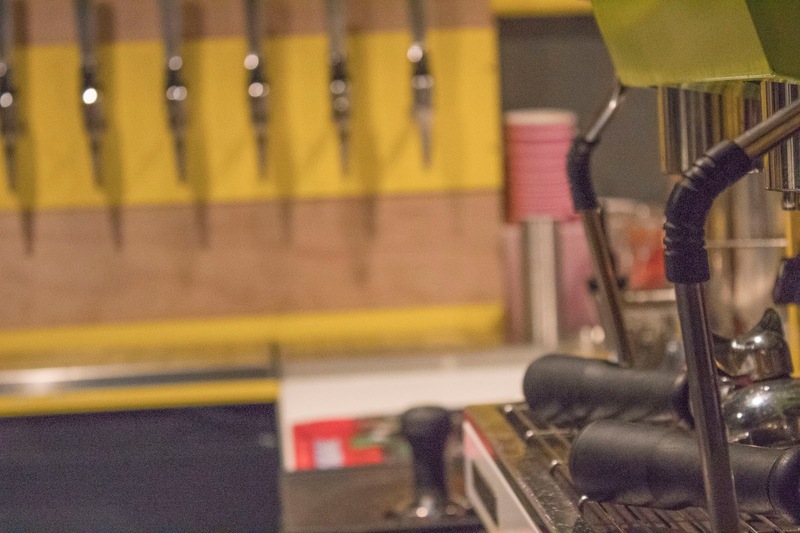 It isn't about the small amount of extra revenue they are trying to buy, it's about keeping the growth of small producer keg off the bar fronts in run-of-the-mill outlets. I firmly believe that growth of micro-brewing has to focus on gaining acceptance on the bar for keg. That has to be in your regular nominally free-of-tie pub, restaurants, hotels and similar. However it looks very much like the big multinational brewers have agreed a plan to make sure that we cannot make much progress into these areas. I recognise a barrier, but to quote a famous person, we choose to do these things "not because they are easy, but because they are hard". I just wish the rest of the beer world would wake up and realise that this is where the real effort should be targeted. The good news is that as a result of us announcing our cessation of brewing at Millom we have been chatting a little bit more with Stephen and John. Interesting and supportive people with whom I hope we will continue to have business dealings with. 1It is entirely likely that as this is a while ago, and I'm grossly paraphrasing the actual conversation, that in actual fact I displayed high levels of irritation at the intrusion into my current thought train. It happens, I may have been in the middle of fixing something in the brewery, which does tend to put me in a less than ideal mode for receptive dialogue. It might also be the case that I was considering some wider beer-related issue that I felt required a blog post to be written, or a tweet replied to, or some such thing. On many days it happens that both things are occurring simultaneously and my mind often fails to complete either task with satisfactory levels of competence. The sales department keeping me abreast with micro-details of individual customers seems a waste of any remaining brain power that might be surplus to requirements. Thought train derailment I do find so frightfully annoying. 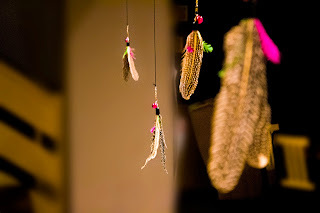 2I'm really working hard to remove this word "need" ... I'm sure it would be awfully useful, but no one is going to die as a result of it not happening. "Is that a problem?" replied Luke to the lady's question. "Well yes, I can't be in the same room as cats, and they know it"
"There is Poppi Red across the street there, they serve really nice coffee and cakes" Luke rather charmingly replied, quite deftly and politely dealing with the issue. Me? 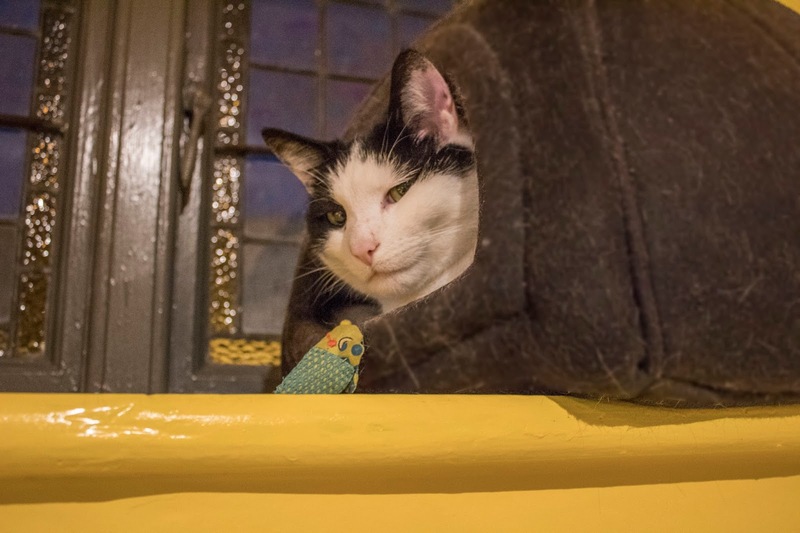 I thought the lady a bit daft and I might have been tempted to question exactly what she expected when the sign outside clearly said "Cafe Culture Cats" - dead cats? Stuffed? 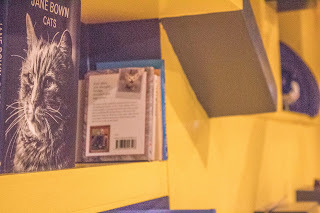 A place simply adorned with cat-related art? No, this place very definitely has live cats wandering around, 4 at the last count, although I believe more may be introduced at some point. My reason for being there was purely on my technical merit and thankfully no customer interactions were required from me. Despite Luke's warm explanation and obvious desire to help, the lady still appeared to leave somewhat grumpily. I was surprised then when she returned a few minutes later to take some photos of the cats as apparently she has lots of friends that love the feline creatures. Luckily I was simply finishing off the keg line install in Kittchen, a new cafe-bar in Hawkshead village. I had promised Emma that I'd help them with the cellar fit when they first talked about their own pleasantly unique project. 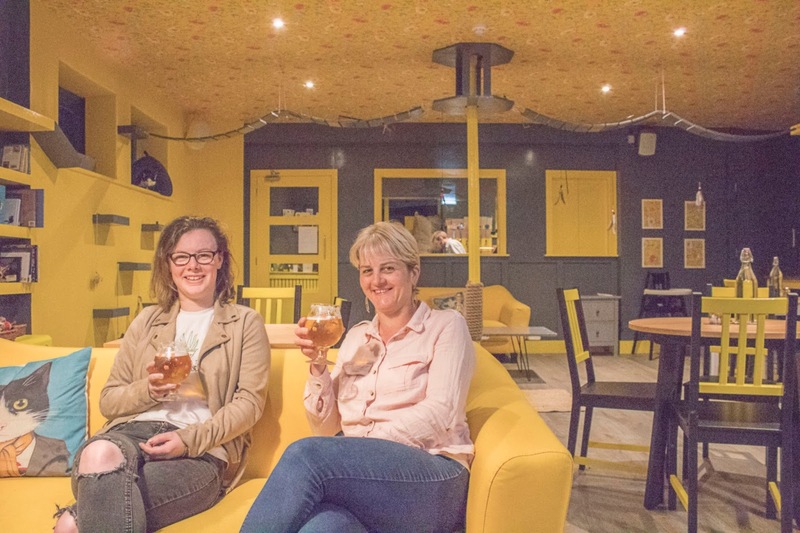 We knew they were planning a cafe-bar style operation, with some inspiration most definitely from Hardknott along with their visits to various other proper craft beer bars and were especially excited about the project. 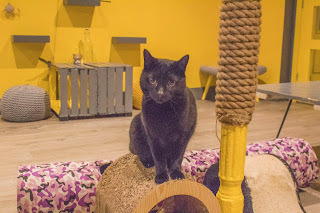 What was kept very quiet for a long time was the concept that this would be a cat cafe. This is not a completely new concept and my brief look on Google shows quite a few in the UK along with a BBC article back in 2016. I guess I'm more of a dog person myself so what appears to be a growing phenomena had completely passed me by. Luke and Emma had intended to serve Hardknott beer at the cafe so I was very pleased to help them with the cellar. Despite our own uncertainty, as I had promised to help these guys out, and in any case it fits with my love of the unusual, I had no hesitation in supporting their venture. I've fitted them with 6 keg lines, no cask as it would be bonkers to even consider such a thing in such a place. 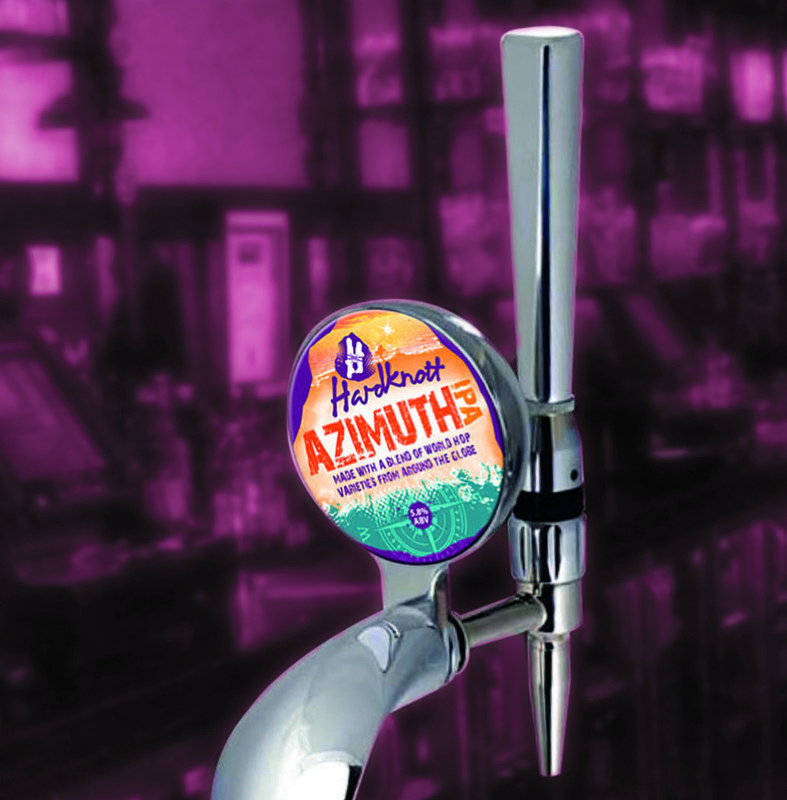 Currently we've got them going with a selection of Hardknott beers including Azimuth, of course, Cumbrian Lager, Neutron Citra and La'al Peat. We also sourced for them a keg of Timmermans and a keg of Delirium Tremens. We've returned on several occasions since they opened two weeks ago. Well, the beers need to be checked for consistency and dispense reliability. They also serve lovely platers of locally produced meats and cheeses, cakes and pastries. Along with my introduction to Cards Against Humanity, which is definitely a game best enjoyed with openminded friends and a few Delirium Tremens. Oh, I didn't comment on the culture bit, glad you reminded me. There is a superb large area upstairs ideal for showing films, live music events, poetry readings and many other diverse cultural curiosities. Check out here to see what's on. Life goes on, and you might be surprised to know; so does Hardknott. We have plans afoot to continue, perhaps against my better judgment, and will be involved with the business of making beer for a while yet I hope. We have definitely stopped brewing at Millom. The brewhouse is just old, tired and in need of serious upgrade. We simply cannot justify solving that where we are. But we have some nice tanks and a bottling line. It seems there are people out there who believe they could use them, and perhaps use me too. People who might just be able to help me with the issue of lacking a decent brewhouse. It's all top-secret, and I might even be jumping the gun by leaking this little snippet. That preamble is relevant however. As part of working out what to do for the future I've thought long and hard about a number of aspects of the beer market. My conclusions are that the British beer culture is still largely stuck with a huge number of preconceptions, traditional practices and frankly stupid dogmas that inhibit microbrewing from emerging out of the twentieth century. I've contemplated the issues regarding cask beer before on several occasions. As part of my review I have considered cask very carefully indeed and have come to some fairly decisive conclusions, key to it is the following point. Something is very wrong with this situation, very wrong indeed. I do not think one can understate how this is linked to another fairly important point. Cask beer represents less than 10% of the total beer sales in the UK and around 16% of the total draught sales. The remaining 84% of draught sales are keg beers and the vast majority of that volume is from the big global producers. The total beer market is shrinking, partly due to overall reductions in alcohol consumption but also critically due to changing customer preference to what are seen as more artisanal products. Cask remains roughly static as a proportion of the overall beer market. Cask in the free trade also appears to remain largely free from dispense equipment ties and this is in itself an interesting observation. It is undeniable that people like cold fizzy beer. Only the deluded would try to deny that, and indeed it is important to note that contrary to the message CAMRA have put out for years, people who drink keg beer are not morons simply influenced by the advertising campaigns of large multinational brewers. Drinkers really do prefer beer that is cold and fizzy. The artificial restriction of microbreweries largely to cask rather weakens their ability to capture a larger market. If a drinker's enjoyment of a beer experience is inferior under certain circumstances then that consumer is likely to be swayed away from that situation. I have long pondered this situation. A long-time lover of the pub experience, brewer of cask, keg and bottle beers, twice over publican, past lover of cask beers and now a firm believer in keg as the future of great beer has come from observation and thought about the whole market. What is wrong with cask, surely it's the best? Have no doubts, cask beer is technically easier to produce, needs less capital investment and is less expensive to produce. It is ideal in many ways as a method for a brewery to gain an entry to the market. The beer market is still very much sliced in two by the terrible dogma instilled into the culture of British beer. Whilst there is no denying that some changes have been made and craft keg has become a thing, despite many people being sceptical, it is still very much a niche and confined to craft beer bars and a few very bold progressive pubs. Mainstream pubs generally have a number of keg fonts almost exclusively for multinational brands. They may well, if free of tie, have handpulls serving locally produced cask beer, if they serve any microbrewed beer at all. Beer drinking customers can be broadly divided into two types; the cask drinker, who might default onto smooth-flow if desperate and the solid keg drinker who wouldn't wash their socks in that cask stuff. Admittedly, there is a group of wise and discerning people who are much less blinkered, and who will drink based on their mood, thirst, level of sunshine or just because they are curious, but I'd suggest this group of people are in fact a small proportion of drinkers. A bold statement you might think, and indeed it is only part of the future, but a very significant part of it. It's not an easy road though. Much investment is needed along with working out the route to market. Equally there is the task of convincing cask-only drinkers, who are only so in my view due to the pressure from CAMRA, to love microbrewed keg along with gaining trust of the keg-only brigade to try new beers. Changing that is likely to be a bit of an uphill battle, CAMRA AGM voting continues to prove this point. Not only that, we have to tackle the stranglehold of the multinationals on the bar front. Various "soft ties" that effectively prohibit microbreweries from even being permitted to sell their keg beers to pubs in fact tie much of the market even where a pub is apparently free of tie. This last point is important. Many observers are getting their knickers in a twist about PubCos and brewery owned estates forgetting that this is actually not the really big issue we have to deal with. It is almost certain that in whatever form we finally re-emerge we will be focusing on keg much more than cask, very probably eliminating cask all together. For a start, the most likely solution to continuing would be to join with an existing cask producer thereby possibly forming a conflict. My task then for the next few months is to work out how to tackle the various barriers to getting really great keg beers available and better accepted by the beer drinking public. I think a return to a much more combative, confrontational and outspoken ethos for Hardknott is required; there is a lot to change in the minds of the public if we are to see microbrewed beers on keg fonts in many more regular pubs. I do not think there is any good reason for this not to happen other than inappropriate inertia emanating from a Luddite attitude. 1OK, so I expect I'll get some challenges here. 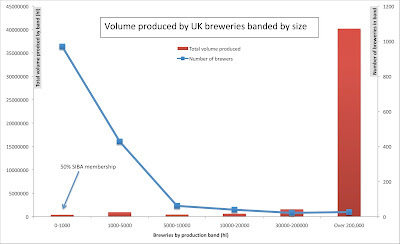 Yes, there are the likes of Fullers and Marstons who put quite a lot of beer into cask, but even so, that vast majority of beer produced by breweries over 200,000hl/yr is keg beer. After several years of careful consideration as to the future of Hardknott and in particular after I have examined the beer industry very closely it is my sad duty to inform you that our brewing facility at Millom will very shortly cease production. It simply isn't sensible for us to invest any more of our own personal equity in a market that is so saturated, and where brewery gate prices are stagnant when costs are rising year-on-year. It continues to frustrate me that many commentators in the industry are heralding how massive the craft beer thing is, and yet stupefied by what appears to me to be an inevitable likelihood of massive attrition of many small brewers as they realise that making money at this daft job is the preserve of very few. We do not know yet what the future holds. We have a hope that we may well keep the Hardknott ethos and beers alive in a way that stands by the provenance and spirit from which we were born. We are already engaged with potential partners in this regard and hope to have some news soon. We also have beer in tank and some stocks. We think at current rates of sale, and with stuff in production, we'll have beer until May or June, and selling it would make me feel a little happier. What I can say is that I am in many ways relieved. Also very sad, obviously. It is now over 12 years since we first started brewing. I have learned a lot, and potentially discovered some fairly uncomfortable truths about the beer industry. It is for this reason I am relieved, because I am likely to be much more forthright regarding the many things that are so wrong with the industry, and there is plenty, trust me. A period of reflection, perhaps some time-out, perhaps a regroup and restart, or perhaps I'll just find a job, who knows? Meanwhile I have a busy week. Two great things are happening this week. I do have a life outside beer and musical theatre has been a helpful therapy when I've been going through periods of disillusionment with the beer industry. I am very proud, the week Andrew Lloyd Webber has his 70th birthday, to be involved with a likely sell-out1 7 performance run of an amateur2 production of Cats. This same week we have the micro-brewing legends that are Sue Hayward and Gazza Prescott visiting to take part in a Waen/Hopcraft/Hardknott collaboration brew, and laugh at me in a unitard. Watch out for what might be that swan-song of our endeavours. I hope to return here in due course to start a constructive appraisal of life as a micro-brewer. I have a lot of damming things to say about the way the beer industry works. The way in which SIBA and CAMRA alike are missing some very important issues that could be resolved to make the micro-brewing sector much more sustainable for the poor souls who are brewing, and who often have nothing but a dream of getting good beer to good people. 2Giving the company the term amateur really does not do justice to the talent in this society. I'm only a small cog in this 51 strong cast and the professionalism is incredible. It's going to be a great show. SIBA - The Voice of British Brewing? I may well get my arse whooped for this. Yes, I'm going to discuss SIBA AGM again in this publicly accessible medium. My robust defence is that those in favour of the current direction of SIBA can, and do send their points of view out to all members. We, those who are constantly exasperated by the failure by the exec to listen to what we are saying, have no way to reach the very same people unless we broadcast it. There seems to be two motions being presented to the AGM. I discussed one on my previous post. The other motion is against what I believe to be the right course for SIBA and I shall try and explain why. I only have one trade body. There is also the BBPA and the IFBB, but neither of those organisations are suitable for me. To deliver the future of British beer AS THE voice of British INDEPENDANT brewing. The capitalisation is as written in the motion document. To deliver the future of British beer and become the voice of British brewing. It is this very vision that is used by the organisation to argue for much of the detail that it does, which is against the interests of the majority of members. The reasoning behind this is that it is argued that SIBA should lobby universally as one voice to Government for the whole of the UK beer industry. Having sat on the SIBA policy committee I can absolutely give the reader full assurance that SIBA will not look after the interests of brewers under 5,000hl. Indeed, they are planning on weakening SBR1 and will be making representations to Government to that effect, if they haven't already done so. If representation to Government is needed that is universally for the good of the whole beer industry then SIBA can join with the other trade organisations and deal with them on a case-by-case basis. It is inconceivable to me that us little artisanal producers can be represented by the same organisation that represents some quite large Public Limited Companies who are listed on the stock market. They already have their own trade organisations. I'm now kicking myself that I didn't get around to my own motion to counter this sort of nonsense. However, minded to vote against just to frustrate the process. SBR = Small Brewers Relief = PBD = Progressive Beer Duty. Currently every brewer below 5,000hl gets 50% discount off beer duty. Above 5,000hl brewers are capped at a cash relief per hl% and above 30,000hl up to 60,000hl this relief is slowly, and quite painlessly removed. There is an argument that states that brewers find it hard to climb above 5,000hl because the shape of the relief inhibits growth. 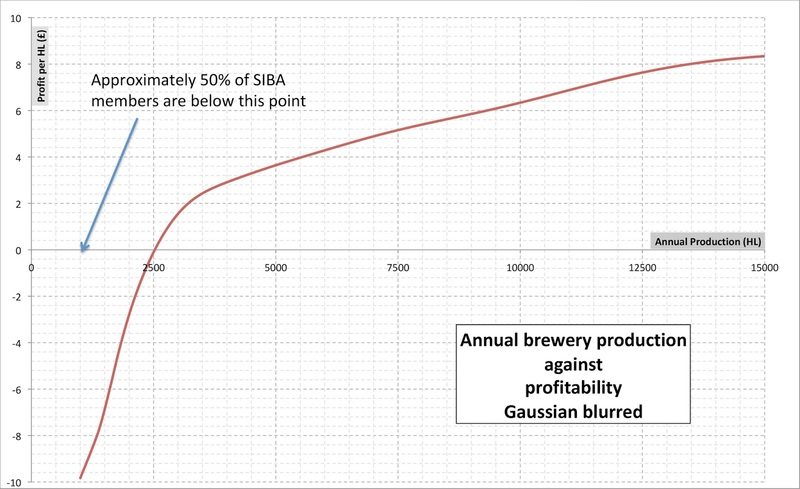 Actually, I have evidence that proves very much that although there is an elbow in the profitability curve that shows improvement in profitability slows as breweries go through the 5,000hl level, actually profitability still increases, all be it at a slower rate. See output from a certain bit of work I've been doing in the chart below. What is crucial is to note that profitability is rare below about 2,500hl, although the model data does show significant error bars and profitability is evident in a small number of cases; exploring this may be interesting. This however, is the subject of a future blog post. Who should be allowed as members of SIBA? SIBA started life as the Small Independent Brewer's Association. Some people don't think that matters. I think it matters a lot. SIBA was set up to try and tackle a specific problem in the beer industry; the beer tie, and the barrier that creates to access to market for the very smallest of brewers. The organisation has now moved to a place that is trying to be "the voice of British brewing" It is inevitable that, perhaps with the exception of a few like myself, the strongest voices are those of big business. DDS was invented and then it changed its name to BeerFlex, apparently to reflect the idea that brewers could set their own price. However, us brewers have never been able to set our own price, the Pub Companies do that, and have recently driven the price down significantly to the point it is completely bonkers for us to even consider. Larger brewers, above say 3,000hl, can afford to consider this route to market as economies of scale permit a lower delivered price for the beer. This is just one example where SIBA has turned away, be it deliberately or not, from the needs of the micro-brewer; the true small brewing business. They are not progressing any actions with vigour that might improve my route to market, but are instead protecting and improving the interests of brewers significantly larger than us. There are a number of like-minded brewers like myself that feel SIBA is failing to represent the little guy. There were several motions at last years AGM calling for the largest of brewers to be removed from the associate membership category as it was felt very strongly that a disproportionate amount of influence was being exerted by the big players in the business. Some of those motions succeeded, but the key one, to remove breweries from membership if they were above 200,000hl, was cancelled from the vote due to the success of a weaker motion put forward by myself. It is my view, from the mood of the attendees at AGM, that the motion to remove completely the brewers above 200,000hl would have been successful had it been put to the vote. This year there is a motion being tabled that rather than removing the breweries from membership who are over 200,000hl we permit any brewery in so long as it isn't a global brewery1. Now, that is all very well, and of course any region can submit a motion. The thing that has really got to me is the fact that news of this motion has been placed under embargo; we are not supposed to publically talk about it. However, SIBA exec can email every single member with their attempts to get this motion passed. Furthermore, and really crucially, SIBA exec have cynically tightened up the rules regarding the organisation of proxy voting2. This is especially important. It is important that for the sake of micro-brewing you do not let these barriers prevent you form voting just because you cannot get to the AGM. There are around 1,000 SIBA members. The vast majority of them are very small businesses indeed, and yet direction is coming from a few brewers of much more significant size. Breweries of my size find it very difficult to get to AGM. The costs, once you factor in travel and accommodation, run in to a significant amount of money. Even supposing your little micro-brewer is flush with cash, which he isn't, finding the time to get away from the business is extremely difficult. He or she is already doing 80 hours a week, as head brewer, van driver, accountant, HACCAP author, cask washer, copper scrubber and general all-round dogs body, finding time to get away is often impossible. With urgency I am calling upon all brewers who are members of SIBA to reject the motion asking for the membership to be enlarged to take in the biggest3 PLC brewing businesses. If this motion succeeds we can be sure that SIBA will move even further way from the interests of the current membership. Proxy voting has been made particularly difficult it seems. Couple that with a gagging order on us talking about the issue shows clear intent to subvert the course of this particular democratic process. It is your duty to ensure you get your proxy vote set-up up with urgency. For this reason I have decided to break ranks and ignore the embargo, hence this blog. Please do not let a few 10s of people dictate over 1,000. Protect the future of YOUR trade organisation. PUT IN YOUR PROXY NOW!! Proxy voting nominations need to be in by 5pm Monday 12th March. IT CAN BE AN EMAIL ATTACHMENT. Hardknott is happy to act as proxy, please get in touch. 1I fully expect that the detail of the motion will be pointed out to me: i.e. that only those under 1% of the total UK beer market will not be allowed. Except there is a clause stating the the board can override that. Considering I have little faith in the board it'll not be long before we see even bigger breweries permitted membership. 2Apparently a simple email is not sufficient to register a proxy vote. It must be a signed letter on company headed paper. I mean, I don't know about the reader, but I haven't got company headed paper. OK, I've got a Word template.. but really, company headed paper? For clarification, it can be an email attachment, apparently. But then why not just an email? For goodness sake this is what we do most of our business by, very rarely needing an actual wet signature. 3I believe it to be important to point out that SIBA is my only trade organisation. 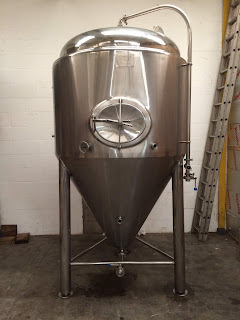 Larger brewers have BBPA and IFBB. One has to question why the largest of brewers want access to our trade organisation, the very trade organisation that is suposed to be protecting us against the largest of businesses. They claim we'll get benefits. Well, I have a lot to say on the supposed benefits of working with large PLCs. It isn't as good as you might think.